Well, well, well… CBS you’re a sly one, aren’t you? For the second year in a row, CBS has rolled out their new schedule after all the other broadcast networks (well, except The CW, but you don’t expect anything worthwhile to come from them anyway, so… why bother?) 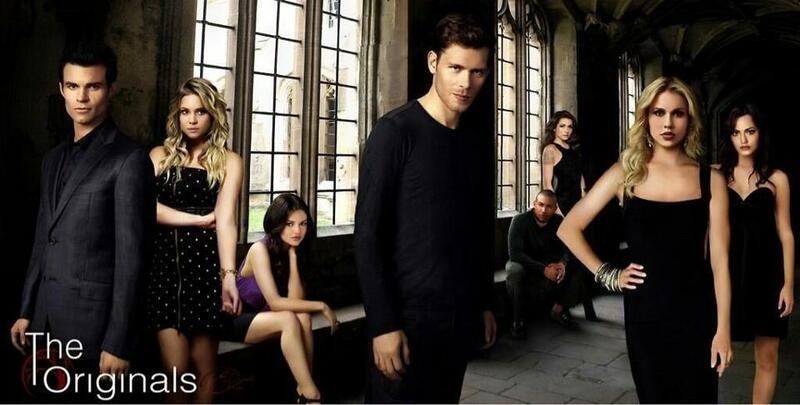 and while they have fewer new shows, they certainly know how to stack a schedule. Moving The Good Wife off the way-too-competitive Tuesday night to the more prestigious Sunday night slot was a brilliant move. It gives the highly-regarded drama more breathing room, where it should grow quite nicely. Ditto for recognizing that war horse CSI is down for the count and putting their new JJ Abrams show starring a former LOST cast member, Person of Interest (not t0 be confused with NBC’s Alcatraz, starring Jorge Garcia) in that 9PM slot instead of the once-hot-but-now-notsomuch The Mentalist there. Person should prove competitive against the 300th season of Grey’s Anatomy. Here are the schedules for NBC, Fox and ABC. 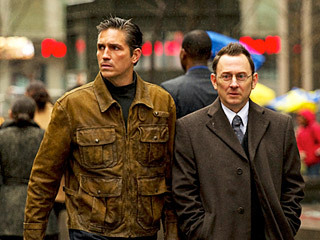 PERSON OF INTEREST stars Jim Caviezel, Emmy Award winner Michael Emerson and Academy Award nominee Taraji P. Henson in a crime thriller about a presumed dead former-CIA agent who teams up with a mysterious billionaire to prevent violent crimes by using their own brand of vigilante justice. Reese’s (Caviezel) special training in covert operations appeals to Finch (Emerson), a software genius who invented a program that uses pattern recognition to identify people about to be involved in violent crimes. Using state-of-the-art surveillance technology, the two work outside of the law using Reese’s adept skills and Finch’s unlimited wealth to unravel the mystery of the person of interest and stop the crime before it happens. Reese’s actions catch the attention of the NYPD, including homicide detective Carter (Henson), and Fusco (Kevin Chapman), a cop who Reese uses to his advantage. With infinite crimes to investigate, Reese and Finch find that the right person, with the right information, at the right time, can change everything. Emmy Award winnersJ.J. Abrams and Bryan Burk (“Lost”), Academy Award nominee Jonathan Nolan (“Memento”), David Semel (“Heroes”) and Greg Plageman (“Cold Case”) are the executive producers for Warner Bros. Television. From Robert De Niro and Jane Rosenthal comes THE 2-2, which follows six diverse NYPD rookies as they patrol the gritty streets of upper Manhattan. The new trainees include Jennifer “White House” Perry (Leelee Sobieski), a former college volleyball star and Marine MP in Iraq with a take-charge attitude; Ray “Lazarus” Harper (Adam Goldberg), the oldest rookie and a former police news reporter with better sources than many seasoned cops; Tonya Sanchez (Judy Marte), who comes from a family with a criminal history and has a very personal connection inside the force; Ahmad “Kiterunner” Kahn (Tom Reed), an Afghani native who fought his way to freedom; Kenny McClaren (Stark Sands), a fourth-generation police officer with great instincts but qualms about joining the force; and Jayson Toney (Harold House Moore), a young basketball legend who squandered his opportunity in the NBA. Their demanding Field Training Officer, Daniel “Yoda” Dean (Terry Kinney), is a case-hardened, unsentimental veteran of the force who emphasizes basics and holds each cop accountable for their actions. With unique backgrounds, personalities and reasons for being on the force, the new cops will make their share of rookie mistakes while they figure out how to relate to their boss, each other and to the people they swore to protect. Two-time Academy Award winner Robert De Niro (“The Godfather: Part II,” “Raging Bull”), Jane Rosenthal (“Meet the Parents”), Academy Award nominee Richard Price (“The Color of Money”), Ken Sanzel (“Numb3rs”) and James Mangold (“Walk the Line”) are executive producers for CBS Television Studios in association with Tribeca Productions.The pilot was directed by James Mangold.